Susann is a Lecturer in Criminology at the University of Sussex (UK). Previously, she was a Research Fellow on an EU DG Justice-funded research study on hate crime, which examined the application of criminal laws and sentencing provisions for hate crime across five EU Member States. 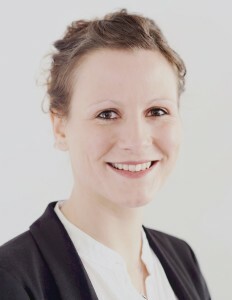 In addition, Susann was a Research Fellow on a ‘Policing Hate Crime’ project, which investigated whether a direct connection between activity on social media platforms and offline hate crime incidents exists. In April 2016, Susann graduated with a PhD in Criminology from the University of Queensland (Australia). Her PhD thesis focuses on how differences in legislative frameworks influence patterns of victimization and the willingness of citizens to report hate crime across different Australian jurisdictions. She completed a Master of Arts in International Criminology at the University of Hamburg (Germany) and a Bachelor of Science in Social Sciences with a concentration in Criminal Justice at Cal Poly, San Luis Obispo (USA).